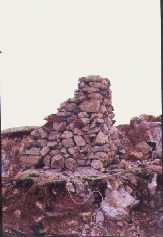 Site is under construction now but the first construction on Bakirlitepe was the pillar !!! 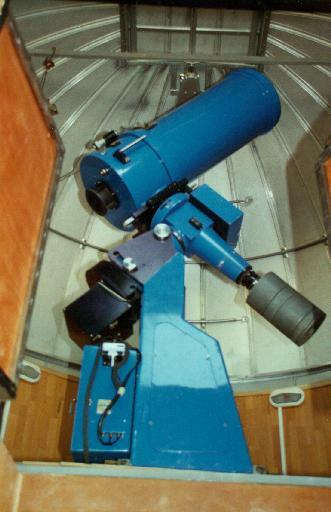 of the test telescope (1982). The pillar was constructed from the stones around with a cement produced by mixing melted snow instead of water. No road, no electricity, only with man and animal power as seen on the left. 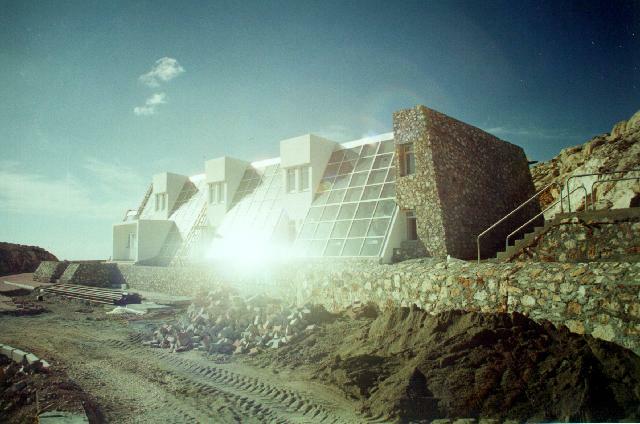 Now it is partly operational and end of construction is expected to be on late 1997. Thanks are due to architect A. E. SAHMALI (GUNARDA Ltd.) for a very good comprimise between our technical needs and architectural vision of him. Without him it would be impossible to finalize the construction. Presently road to the site and the power is ready. 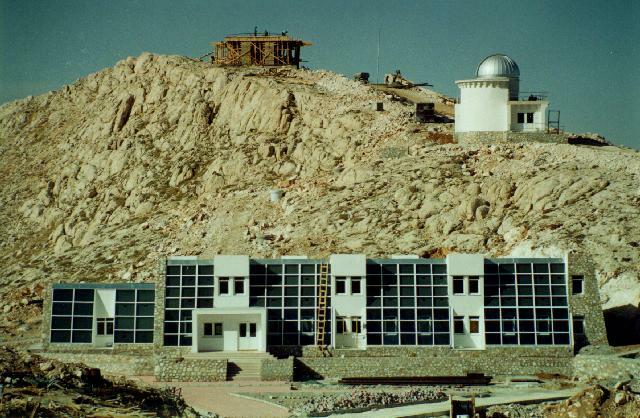 Construction of guest house, machine shop and other buildings, including 40 cm telescope building, are completed. 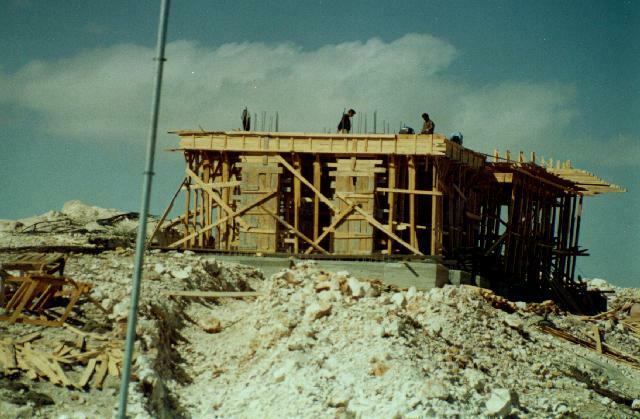 Construction of the tower and the building for the 1.5 m telescope started on July 1996. 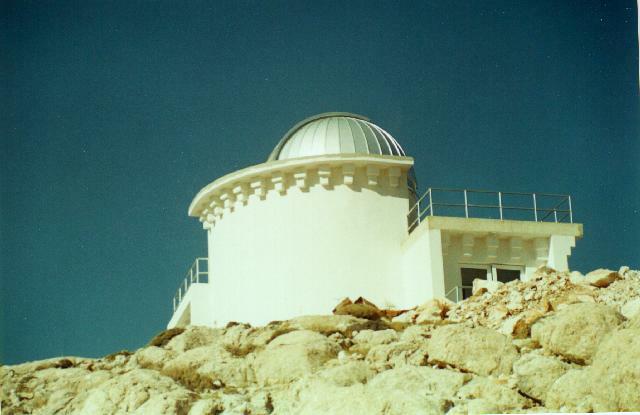 40 cm telescope installed in August 1996 in a tower with 4.5 m dome ( Ash Dome ) and hope to be ready for observations in October. 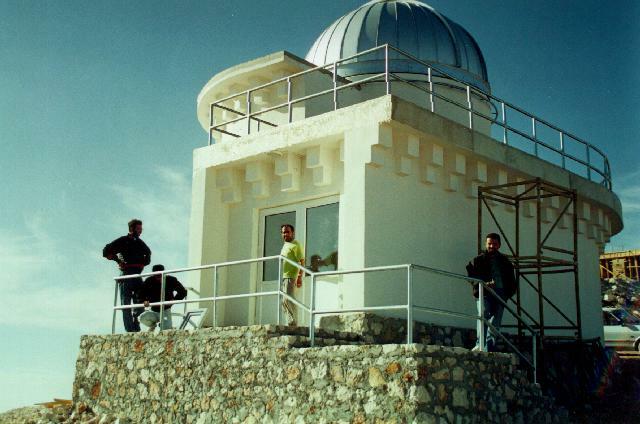 1.5 m telescope building will be ready with 10.5 m double skin dome ( Observa.Dome ) by the end of April 1997. 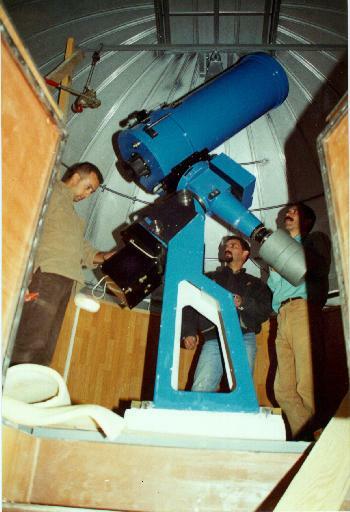 Final assembly of 1.5 m telescope will start on May-June 1997. We hope first light by 1998. Cross sectional view of 1.5 m telescope building shows coude room and the optic path. Fig.1 , Fig.2 show, south and north view. Fig.3 , Fig.4 and Fig.5 are plans for basement, coude and telescope room layouts.